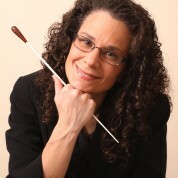 Melissa teaches musical education at The College of Staten Island High School for International Studies. She began her teaching career working mainly with string players, but over the years has devised new programs, particularly in creating an international music program for her current school. Research has shown that participants in her World Percussion Ensemble/Drum Circle Facilitation Program think more globally and excel in general leadership skills and collaborative teamwork. Students acting as drum circle facilitators learn that the contributions of individuals make the experience and the music unique, and they incorporate this appreciation and tolerance of others into everyday life. Her methods have drawn the attention of the Grammy Foundation, the Recording Academy and Converse, allowing her students to record and release a CD in 2014. She has also won several awards, including the Bertelsmann Corporation’s Teacher Award for Excellence in Creativity and Inspiration. In an effort to increase the profile of music teachers and share best practices, Melissa writes scholarly papers and presents at national and international education conferences.